1-Jan Tue No Catering. No Catering. 2-Jan Wed No Catering. No Catering. 3-Jan Thu MW Men Open Day & first day for Shootout Cards. No Catering. No Catering. 4-Jan Fri No Catering. No Catering. 5-Jan Sat No Catering. No Catering. 6-Jan Sun No Catering. Summer Cup. No Catering. 7-Jan Mon No Catering. No Catering. 8-Jan Tue MW Men. No Catering. No Catering. 9-Jan Wed No Catering. No Catering. 10-Jan Thu MW Men. No Catering. No Catering. 11-Jan Fri No Catering. No Catering. 12-Jan Sat No Catering. No Catering. 13-Jan Sun No Catering. Summer Cup. No Catering. 14-Jan Mon No Catering. No Catering. 18-Jan Fri Axemans Club Ambrose #1@ 9.30am (6 x 4). Axemans Club Ambrose #1@ 9.30am (6 x 4). 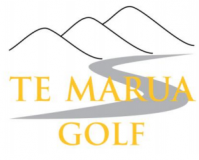 19-Jan Sat Men’s Div 1 Team Interclub Practice v Levin @ Te Marua 8:00am. BNZ Rovers 9:00am. First day for 2017 Shootout cards. Group 30 booked @ 1.00pm (Sat/Sun). Men’s Interclub Practice v Levin @ Te Marua 8:00am. BNZ Rovers 9:00am. First day for 2017 Shootout cards. Group 30 booked @ 1.00pm (Sat/Sun). 20-Jan Sun Group from Saturday playing @ 1.00pm Catered Meal Upstairs for 40. Group from Saturday playing @ 1.00pm Catered Meal Upstairs for 40. Summer Cup. 21-Jan Mon WELLINGTON ANNIVERSARY DAY. WELLINGTON ANNIVERSARY DAY. 23-Jan Wed Summer Cup – Final Day. 24-Jan Thu MW Men. Men’s Vets @ Karori 10:00 am (alt 28 January). 26-Jan Sat Men’s Interclub (See Draw) R1 Div 2 @ Te Marua. Mary Alward / Tuakana R1 @ Te Marua. Mary Alward / Tuakana R1 @ Te Marua. Men’s Interclub (See Draw) R1 Div 2 @ Te Marua. 27-Jan Sun Opening Day – James Maher Trays. Springfield Golf Club Group of 16. Opening Day – James Maher Trays. Springfield Golf Club Group of 16. Summer Cup. 30-Jan Wed MW Women Opening Day 9:30 (Frances Cole Trophy) Net Medal. 31-Jan Thu Evergreens @ Ohariu. Teams Twilight R1. Teams Twilight R1.